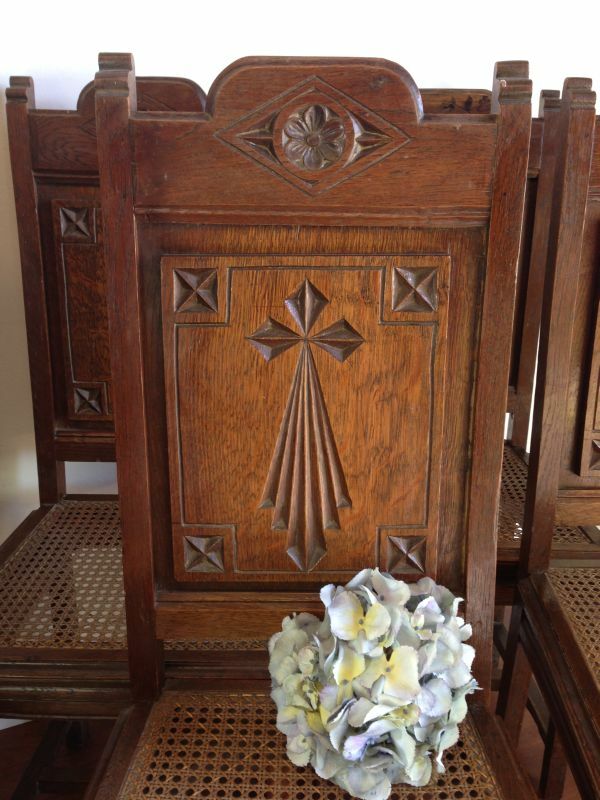 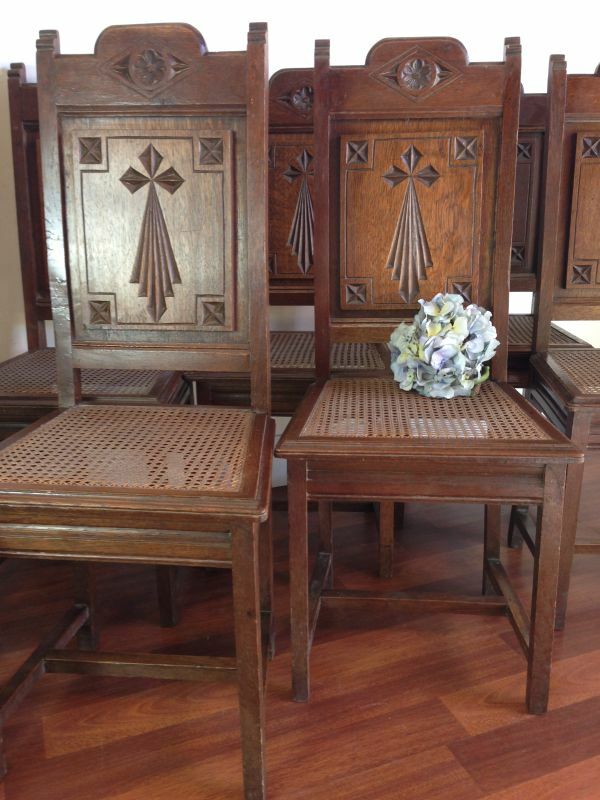 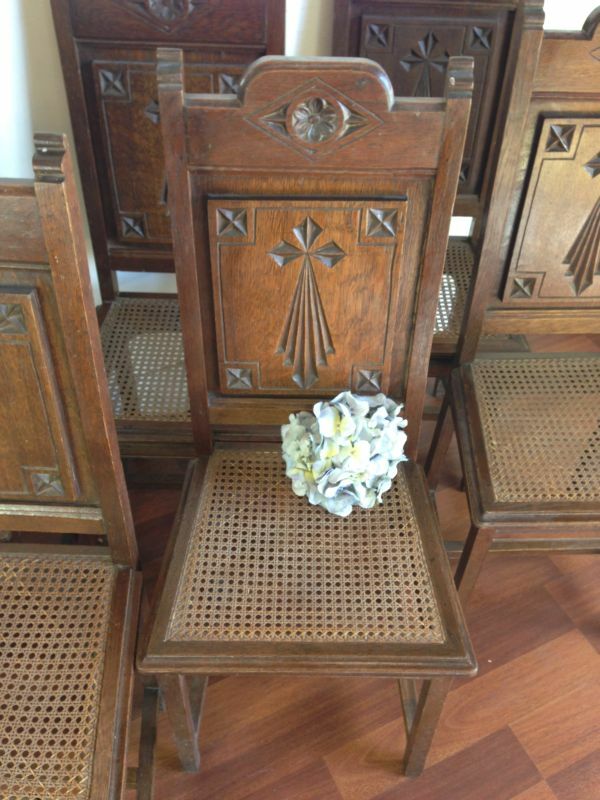 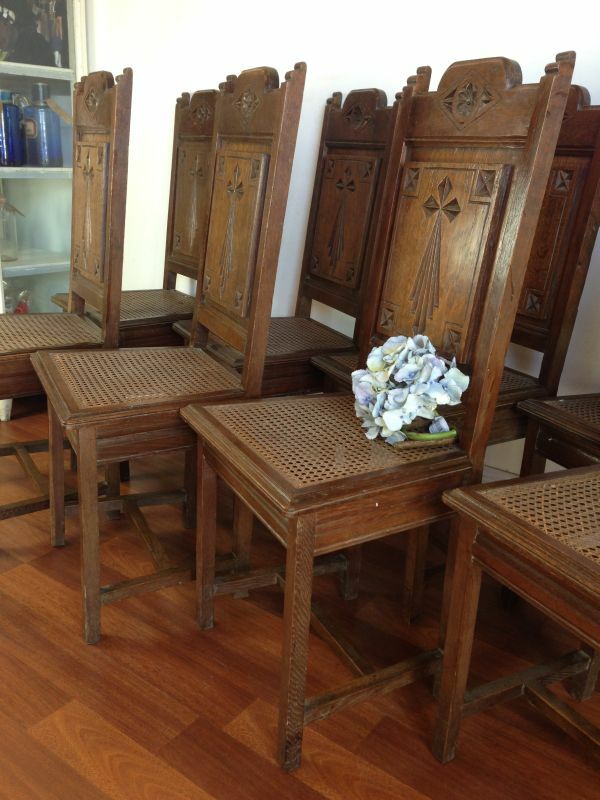 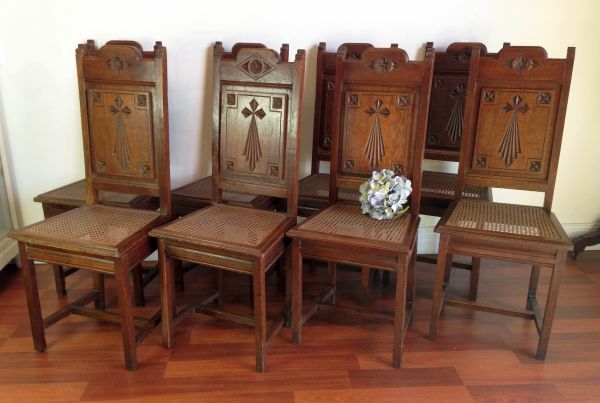 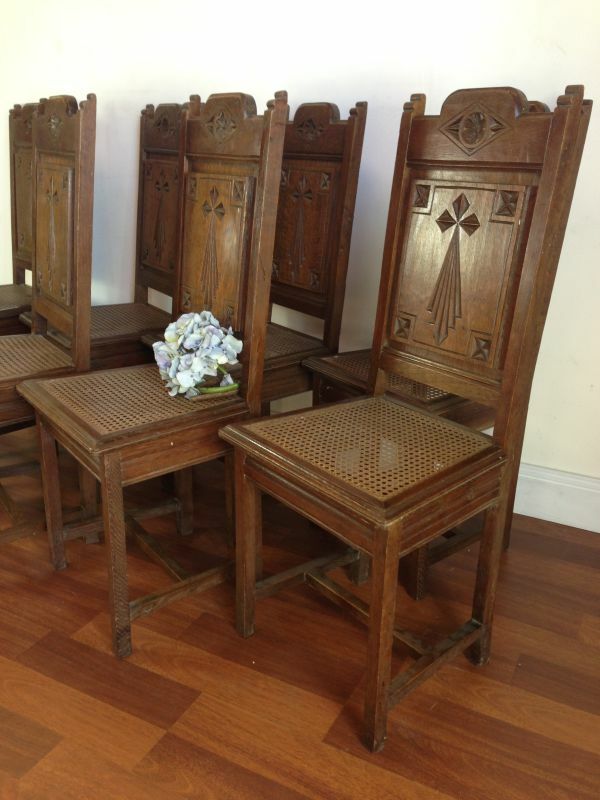 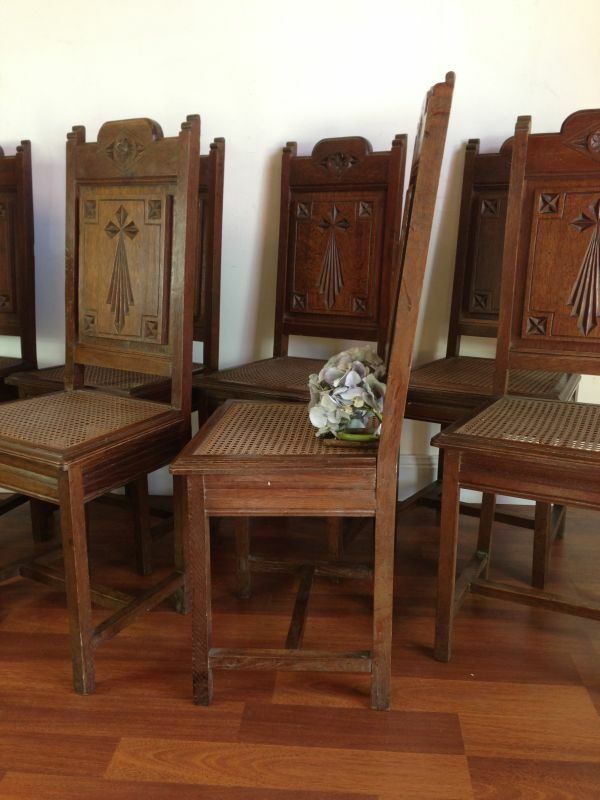 This amazing set of eight rare antique oak church dining chairs were found recently in France. 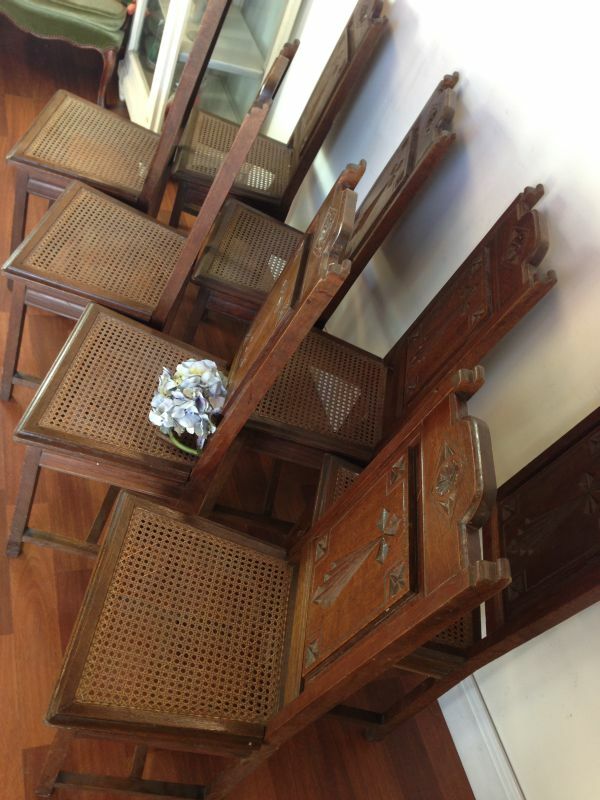 They are in good used condition with just a break on one back leg of one and a small hole in the seat on another. 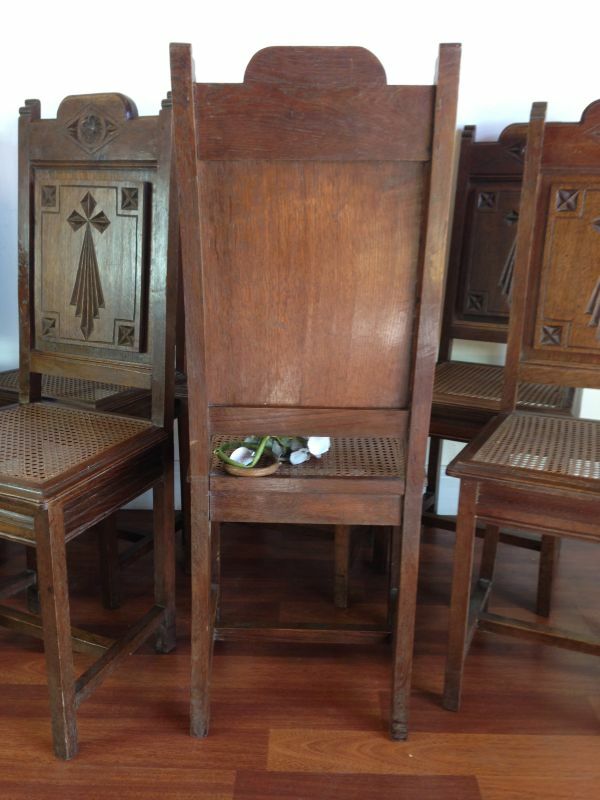 This is all mentioned for accuracy reasons. 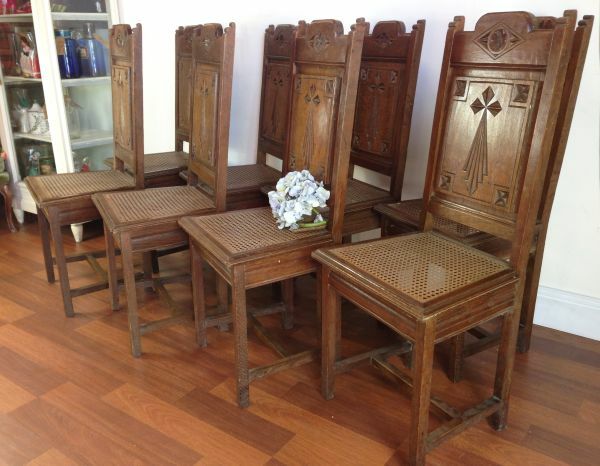 SIZE approx: 102.5cm high x 43cm wide x 42cm deep - Seat Height 42cmm.